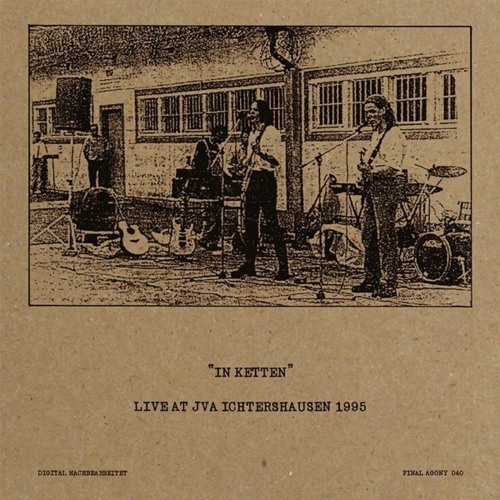 IN KETTEN - Live at JVA Ichtershausen (1995) LP This is the only recording by IN KETTEN (a.k.a. ABSURD, the true Tyrants of German Black Metal), simply entitled "Live at JVA Ichtershausen (1995)". Without IN KETTEN, "Out of the Dungeon", "Thuringian Pagan Madness" or "Facta Loquuntur" by ABSURD would never have been conceived and/or recorded in the first place. IN KETTEN was a short-lived band which existed from early 1994 through 1995, while three members of ABSURD were incarcerated for first degree-murder. This is the entire live concert of IN KETTEN that took place behind bars in 1995.